Japanese publisher Shinko Music Mook has a new book out. 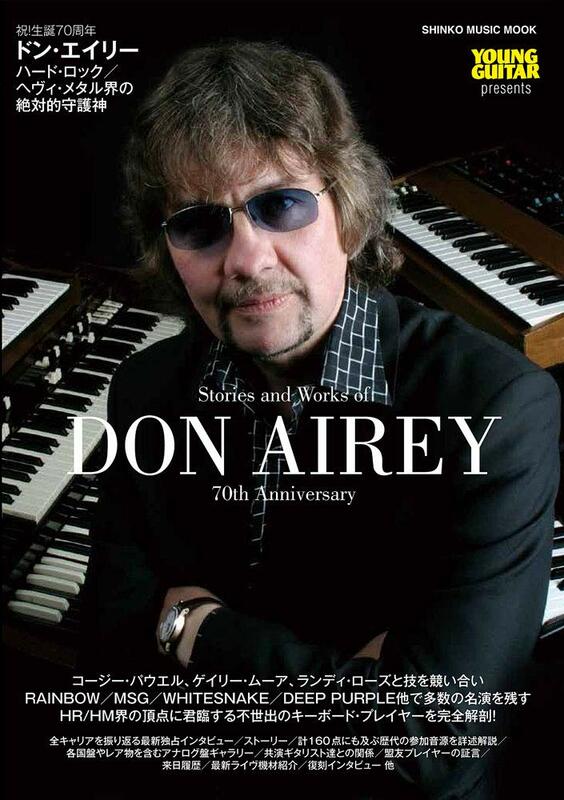 Published in December 2018, it is titled Stories and Works of Don Airey and is dedicated to all things pertaining to Deep Purple’s keyboard player. Column: Who is Don Airey? 2004: Deep Purple ‘Bananas’ tour to Japan from ‘BURRN!’ June 2004 issue. Cover photo by Richard Ecclestone, 5th April 2005. The book is, naturally, all in Japanese and can be ordered via Amazon. Thanks to Nigel Young for the info. Posted by Nick Soveiko on Monday, March 25th, 2019, filed under News. You can follow comment on this post through the RSS 2.0 feed. You can skip to the end and leave a comment. Pinging is currently not allowed. Both solo albums are fantastic. Cheers!